Voyages Ayers Rock Resort will host the 2012 Association of Australian Convention Bureaux (AACB) staff conference. The conference, taking place between the 6-9 September, brings together professionals from the 17 member city and regional convention bureaux across Australia. A combination of keynote speakers and meetings industry experts will deliver a program of plenary sessions, breakouts, social activities and touring options designed to enhance the professional development of bureaux staff, and foster stronger networks across the bureaux community. Mike Cannon, CEO of the Association of Australia Convention Bureaux, said: "AACB and its stakeholders are focused on marketing, knowing that a core element is continued education opportunities for bureaux staff. 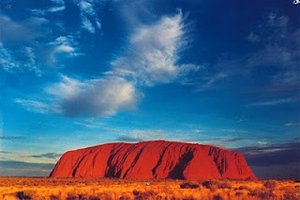 We are delighted that this objective will be enhanced by the mighty destination of Uluru. The event will, in addition, assist in the development of regional Australia as a key destination for business events".